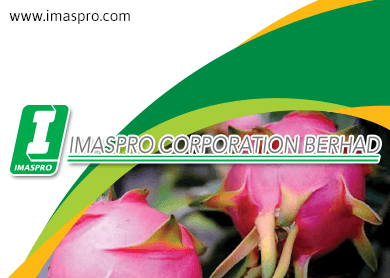 KUALA LUMPUR (Mar 27): Datuk Dr Yu Kuan Chon has further raised his stake in Imaspro Corp Bhd to 9.04% after emerging as a substantial shareholder in the pesticide manufacturer last week. Dr Yu is the chairman and executive director of YNH Property Bhd. According to filings with Bursa Malaysia today, Dr Yu had purchased a total of 2.47 million Imaspro (fundamental: 1.45; valuation: 0.6) shares via two transactions on March 18 and 19 this year. He had bought the shares on the open market. Following the purchases, his stake in Imaspro grew to 9.04% or 7.23 million shares. To recap, Dr Yu emerged as a substantial shareholder in Imaspro with a 5.5% stake on March 16 this year after acquiring an additional 1.33 million shares in the company. Dr Yu had bought shares in Imaspro as current major shareholders reduced their stakes. According to filings with Bursa Malaysia, Imaspro chairman Mohd Shafek Isa had reduced his combined direct and indirect stake to 0.9% last Monday (Mar 23) from 21.68% on Feb 25 this year. On Monday (Mar 23), he sold 2.36 million Imaspro shares at RM1.70 via off-market trades. Mohd Shafek's indirect interest in Imaspro is held via Sunbina Dunia Sdn Bhd. Mohd Shafek had earlier ceased to be a major shareholder in Imaspro after disposing of 3.53 million shares at RM1.70 each last Friday (Mar 20). Dealers said notable trades by Imaspro major shareholders might result in management changes in the company. "Several key shareholders of the company were disposing of their shares recently. In this scenario, the company is likely to see changes in its management," a dealer told theedgemarkets.com over telephone recently. At 12.30pm today, Imaspro shares fell one sen or 0.54% to RM1.84, giving it a market capitalisation of RM147.2 million. Some 28,500 units shares were changed hands. The stock had gained 47% this year, outperforming the FBM KLCI's 3% advance.